The Jerusalem Caesar Hotel is a city hotel that contains 150 rooms and 4 meeting rooms sitting up to 150 people, including private dining areas and banquet facilities. All rooms are attractive furnished rooms, fully air-conditioned , heated with private bath / shower, wall to wall carpeting, radio and direct dial phone with voice mail, cable TV and a safe. 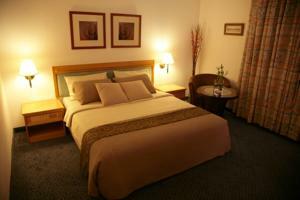 The hotel guests have the possibility to send or receive e-mail with no additional charge. 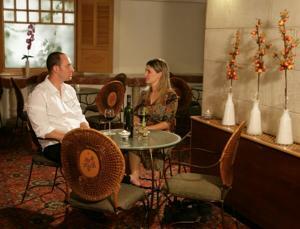 Located close to the Mahane Yehuda market, and downtown Jerusalem. 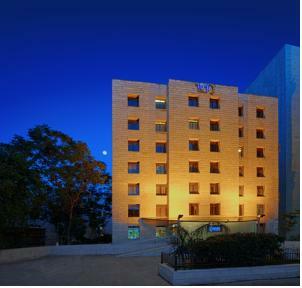 The Jerusalem Caesar hotel is conveniently located in Jaffa road, within walkin distance to the heart of the city, close to the Israel Convention Center (ICC), the Israel Museum, the Parliament Building and Government offices. All the Holy sites are situated not very far from the Caesar. bath / shower, wall to wall carpeting, radio and telephone in all rooms. Cabled TV radio and direct dial phone with voice mail. 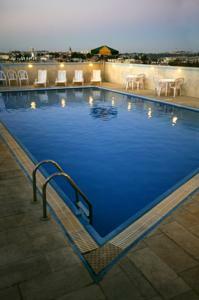 The hotel is a 30-minute drive from Ben Gurion Airport and less than an hour’s drive to Tel Aviv and the Dead Sea. The old city is within walking distance, and the bus to Jaffa Gate stops right outside the hotel. Fully air-conditioned, Banquet facilities, Bar, Baby sitting, Business facilities, Credit card accepted, Congress and conference facilities, cleaning laundry service, car rental, rooms for disabled, central heating, kosher food, meeting rooms, non-smoking rooms, radio in rooms, restaurant, room service, outdoor swimming pool, synagogue, telephone in rooms, TV in rooms, video programs in rooms, listed hotel with valid Ministry of Tourism Certificate.